Stephen Mark Mills, passed away early Monday morning, at the age of 65, following a struggle with Parkinson’s Disease. 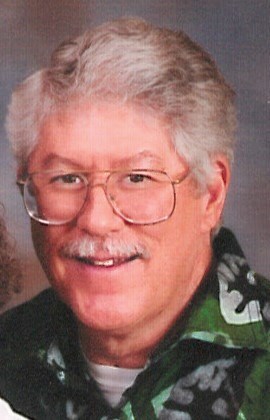 Born in March of 1953, Steve was raised in a family that was committed to serving the Lord. Both his father and grandfather were pastors, with his family even serving as missionaries to Ecuador when he was a small boy. Steve met his wife, Mary Jo (Nietering) Mills, at Baptist Bible College in Clark’s Summit, PA., and upon graduating, he moved with Mary Jo back to her hometown of Grand Haven, MI. While residing in Grand Haven, Steve worked at Radio Bible Class, as he went on to earn his MSc in Health Sciences, from Grand Valley State University. Steve and Mary Jo’s shared love for God and people would take them many places, and eventually lead them to serve as medical missionaries in Togo, West Africa, with the Association of Baptists for World Evangelism (ABWE); a commitment that would go on to span 23 years. Faithful and with a servant's heart, Steve took on many roles during his tenure in Togo, including surgical physician’s assistant, hospital director, overseeing telephone and computer systems on the hospital compound, supporting and mentoring many Togolese pastors and churches, and preaching in both English and French. Steve’s legacy will live on in the thousands of lives he touched in both Togo and the US. Steve is survived by his wife, Mary Jo, to whom he was married for 45 years. He also leaves behind his children, David Mills and Kellie Jo Green; four grandchildren; his mother, Delores Crothers; his brothers, Matt Mills and Dan Mills; and his sisters, Faith Girton and Cheryl Cross. His viewing will be held on Friday, August 24, 2018 from 6 - 8 pm, at Klaassen Family Funeral Home on Robbin’s Road, Grand Haven. His Funeral Service will be held on Saturday at 11 am at Bethel Baptist Church, 213 West Oak Street, Fruitport, MI 49415. In lieu of flowers, memorial contributions may be given to ABWE’s medical ministry in Togo through their Vision 20/20 Project: account no. 0763583 (https://www.abwe.org/work/support) or P.O. Box 8585, Harrisburg, PA 17185.